Assuring that the PPP/C’s presidential candidate for the 2020 general elections will be named before year end, the party’s leader Bharrat Jagdeo yesterday (17 Dec 2018) said that criminal charges will have no impact on the selection process. Earlier in the year, Jagdeo had said that the candidate would have been named before the November 12 local government elections. It was later said that this had been pushed back until after the budget debates and consideration of the estimates. The budget was passed last Friday and since then there has been no word coming from the opposition’s camp as to who will be the presidential candidate. Earlier this year, a possible third term as president for Jagdeo was ruled out by the Caribbean Court of Justice. “This (the candidate) will be decided shortly…we could very well be going to elections in three months,” he said in response to questions during a press conference at his Church Street office. So far, Opposition Chief Whip Gail Teixeira and Charles Ramson Jnr have expressed an interest in the post. Party insiders have also identified former minister Dr. Frank Anthony; Dr. Vindhya Persaud, the daughter of the late Pandit Reepu Daman Persaud; former Attorney General and Minister of Legal Affairs, Anil Nandlall and former Housing Minister Irfaan Ali as possible picks. Jagdeo, while stating that the party has had a hectic few weeks said that at a party meeting today, it will be decided “whether it makes sense to do it just before or just after the no-confidence motion.” The motion which was brought by the PPP/C several weeks ago is scheduled to be debated in the National Assembly on Friday. 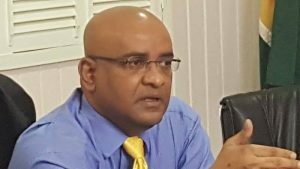 Jagdeo assured reporters that the party is sticking to the year-end deadline, regarding the announcement of the candidate. Observers have expressed concern that criminal proceedings against Nandlall and Ali may diminish their chances of being chosen and impact negatively on the selection process. He informed that some government MPs are filled with venom when it come to the opposition MPs as they would issue threats and warn that if they speak, SOCU will visit them or that they will be charged. “This is very, very worrying,” he said. Jagdeo added that personally he does not see the criminal charges being a factor in the final decision. He later declined to say who he is supporting. “You would know whenever…Do you think I would come to a press conference and say who I am supporting? I will discuss that within the party circles,” he said when asked whether he was supporting Ali. Later, he said that he only has a single vote and said that it would be improper of him to say how influential he is in the selection process. Jagdeo while speaking to reporters, expressed annoyance that Ali and Nandlall would be made targets. With respect to Ali, he said that the PPP Executive member is not a beneficiary of the land at Pradoville 2 but was charged anyway and that in the case of Nandlall the law books in question cost $300,000. He said that the Pradoville 2 matter is prominent in the news only because he is living there. Jagdeo added that decisions he made to the benefit of persons aligned to the current government are never questioned. 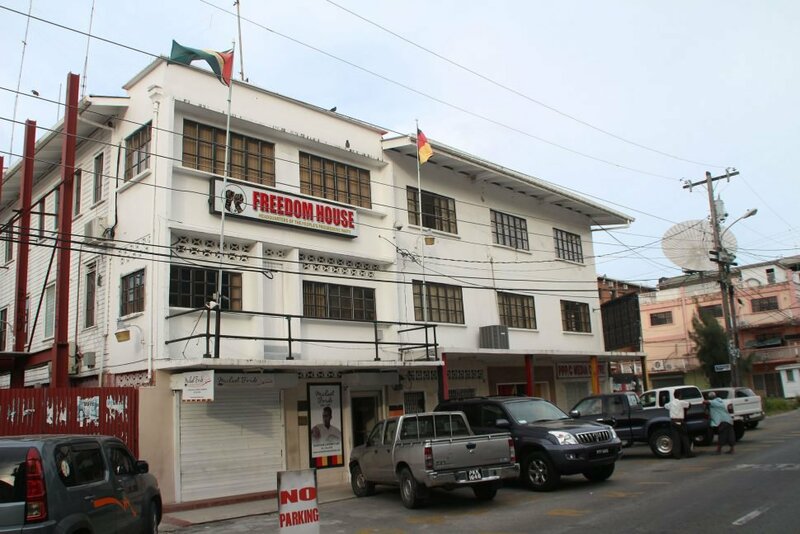 He singled out the five acres of prime land in the city that were given to the Burnham family while he was president and the 60 acres of land at Sophia which is in the possession of APNU. In each case he said the lands were acquired free of cost. Ramson Jr, a former parliamentarian was criticised by some in the party for publicly announcing his interest in being the party’s presidential candidate. Jagdeo said that at a recent Executive Committee meeting, the issue was discussed and a decision was taken to put out a statement on what the process would entail. “The party Ex-Co (Executive Committee) has agreed that we put a statement outlining the process. The congress appointed 35 to sit in the Central Executive of the party. They then elected another 15 to serve as the Executive of the party. Right now, the procedure that we have used and will in all likelihood use again unless the Central Committee decides to change it…they will vote in a secret ballot on all of the persons whose names are before them on the ballot,” he had said. In August this year, Teixeira said that Volda Lawrence’s victory in the race for PNCR Chairman may have “tantalised” her into joining the race to be her party’s next presidential candidate. She was asked whether given Lawrence’s rise to the Chairmanship of the PNCR, she felt as a woman it was time for her to make a bid to be the presidential candidate for her party. Teixeira had previously indicated that she was considering the idea.